106 days in, and our EU Austerity Drinking Tour has taken its toll. 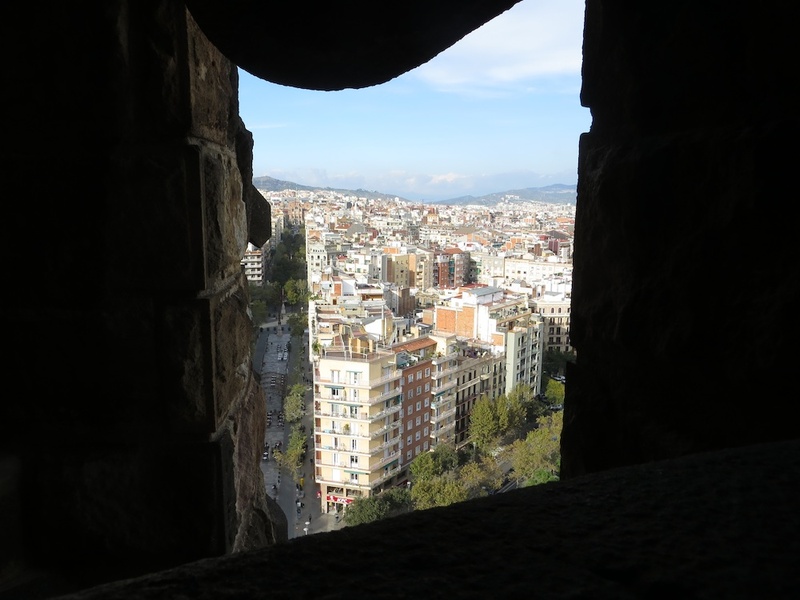 Barcelona gleams sunny and beautiful but seems cursed. 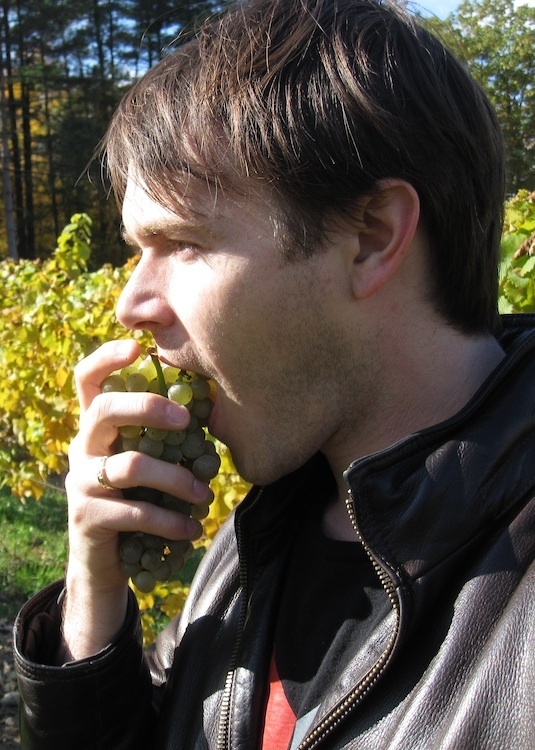 I dropped my iPod: home to all my wine notes, photos, and videos. Also, superglue has stopped holding my fancy Vibram shoes together. Worse, Spain’s economy cracks around us. Pickpockets swarm our outings. Financial tensions rile the (otherwise lovely) international couple that hosts us. But worst of all, Tracy’s stomach decides to stop working. She becomes bedridden. All she can eat are prunes, water, and…well…Cava. So like any good husband, I leave her. 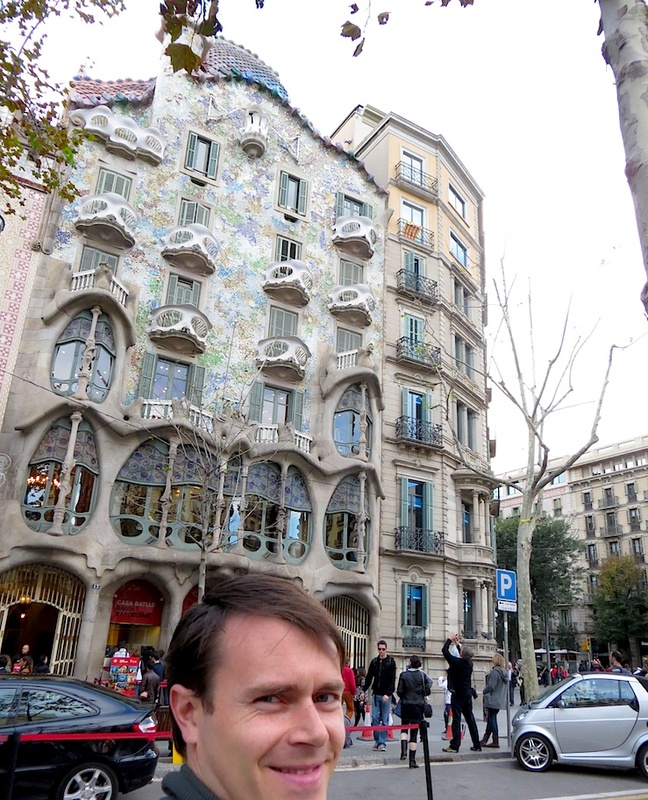 I tour Barcelona, draw Gaudi buildings, get new shoes, and hand my iPod over to a local geek to fix it. Makes Star Trek look ancient. 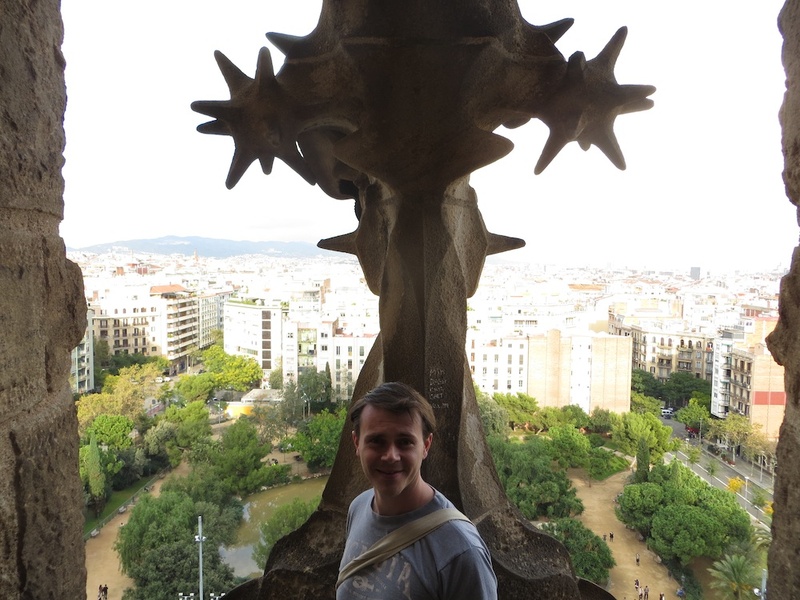 After adjusting to Gaudi’s frantic geometry lesson, we take an elevator up its tower. A steep spiral staircase sends us underground to a vaulted church dedicated to Gaudi’s never-ending project. 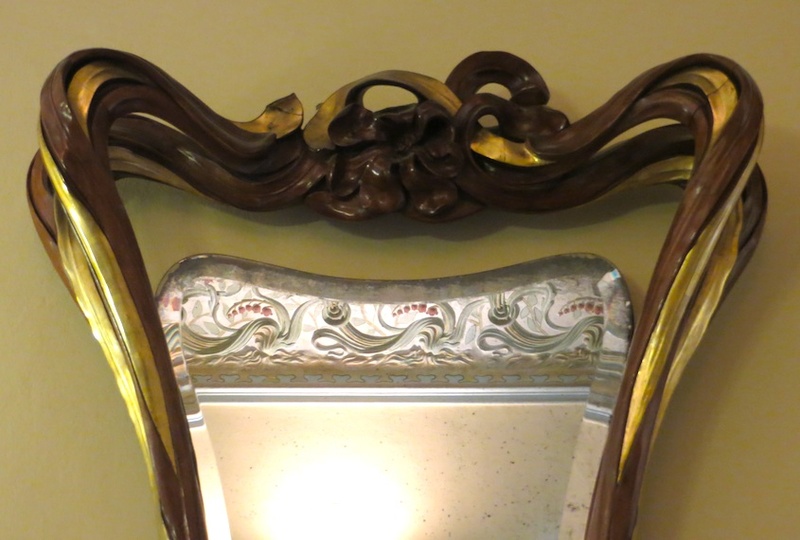 Endless models and fragments divulge his evolving designs, all of which only modern technology could finally realize. 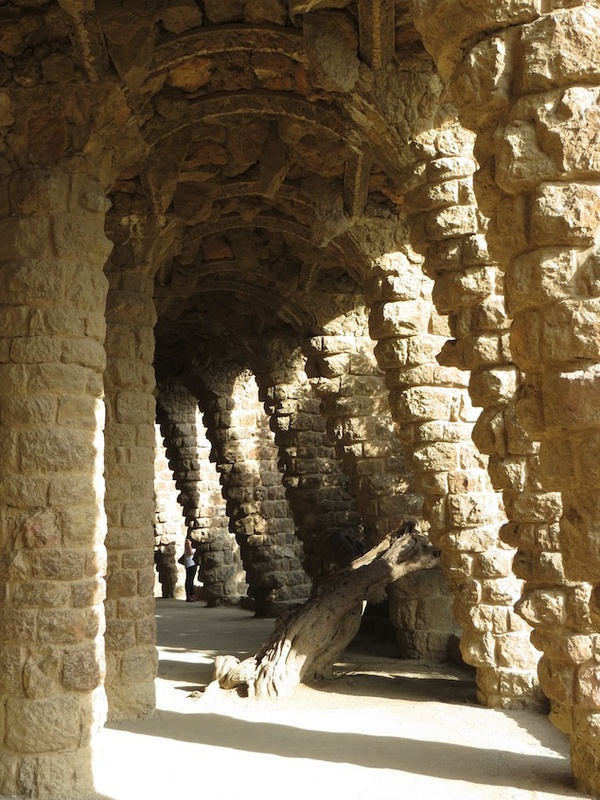 The next day sends us hiking to another Gaudi masterpiece: Guell Park. 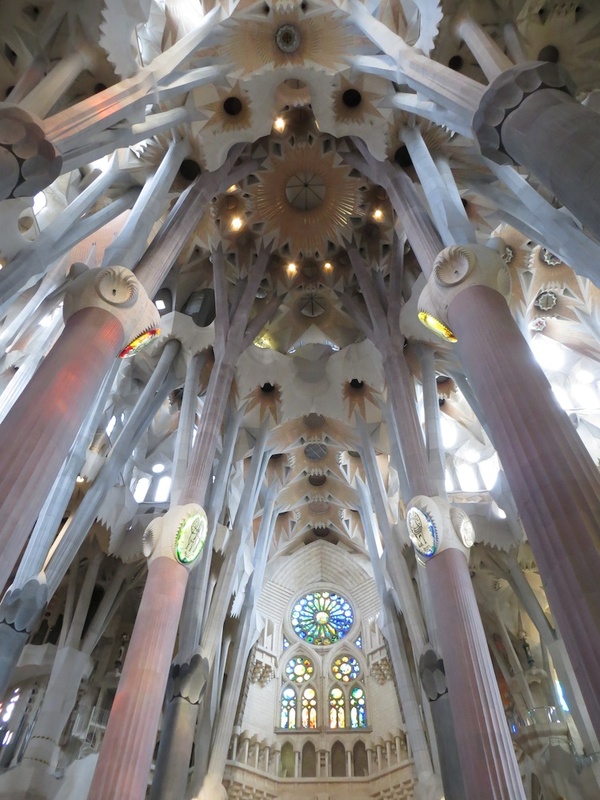 Instead of conquering the divine, Gaudi attempts to mesh and meld with nature. At times it feels forced and Disneylike, but it works. 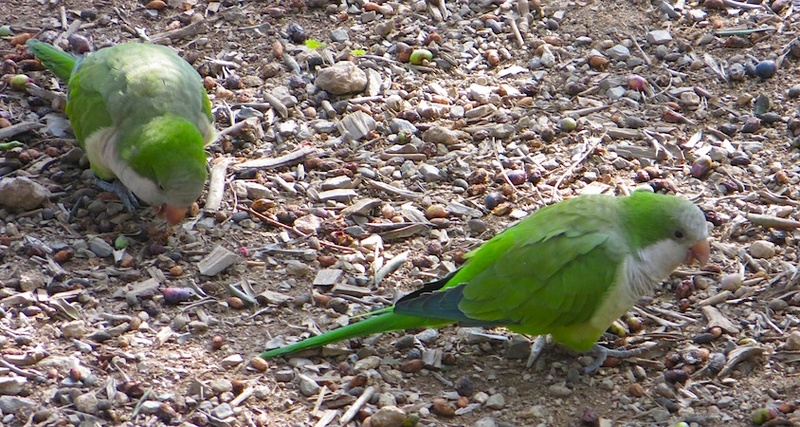 Tourists, couples, trinket sellers, and parrots all lounge about the park’s meandering paths. What? 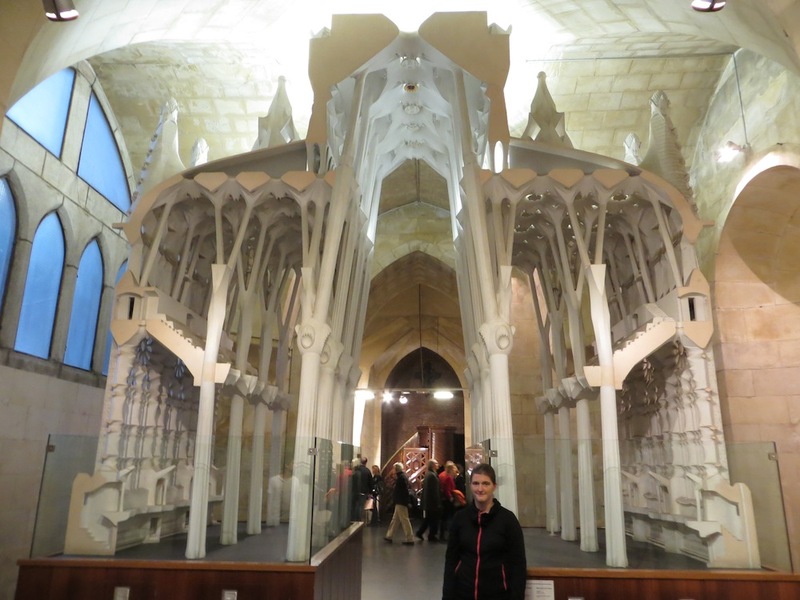 There were other architects in Barcelona???? 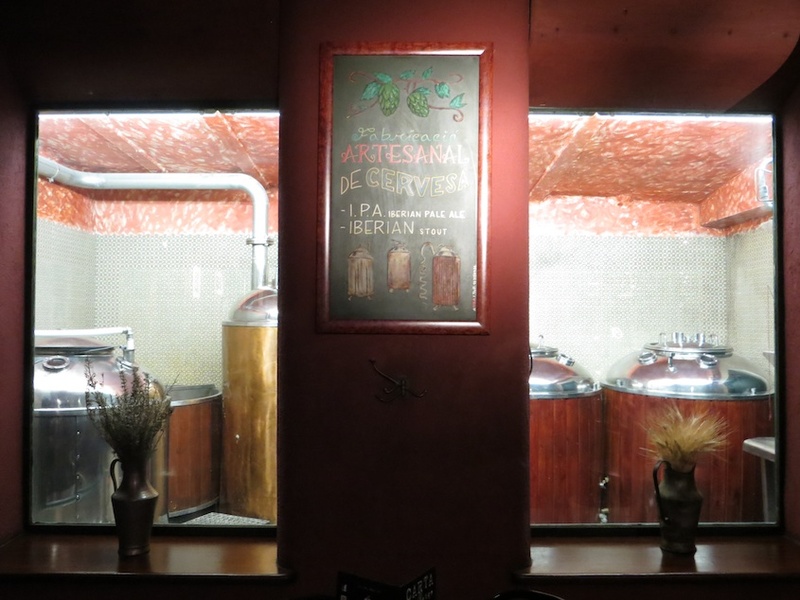 Nearby we find La Cervesera Artesana: yes, a brewery, in Spain. 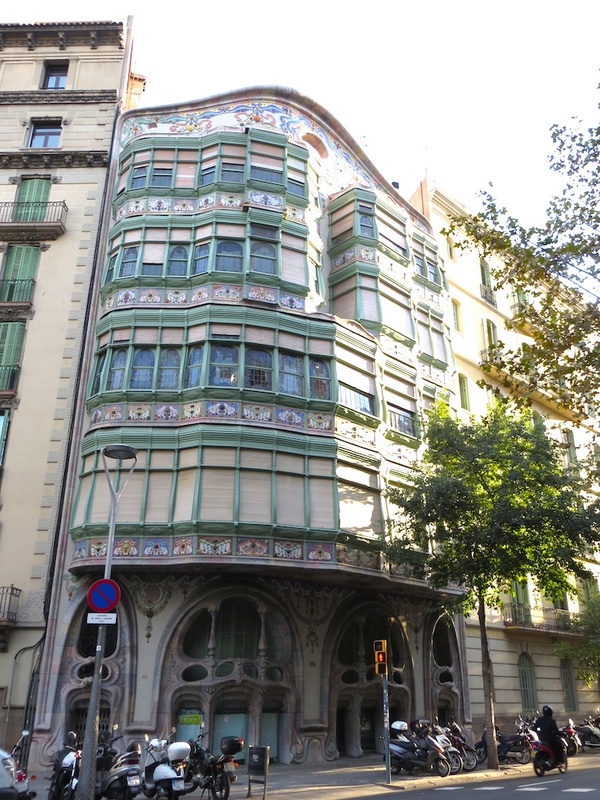 Actually, this was Barcelona’s first microbrewery. Since 1996 Cervesera Artesana has forged a path of deliciousness. Small, wooden tanks fill a back room. The interior feels hip. The beers taste modern and international. From Stouts, to smoked beers, to IPAs (Iberian Pale Ale), the beers are bold, flavorful, yet pretty well balanced and rounded. Sadly my iPod is still under surgery so no notes. 110 days into our trip and we finally buy a flight back. We had budgeted for a ten month (or maybe more) drinking adventure. But visiting vineyards and museums every day has worn us and the little we carry. Cultural fatigue has set in. We don’t feel homesick, just exhausted. So we have three months to go, and have only dipped our feet in Spain. The Languedoc, Rhone, Burgundy, Germany, Austria, Czech Republic, Holland, Belgium, Flanders, and Champagne shall all be conquered. Like Napoleon or Hitler (but tipsier), we shall crash as much of Europe until our glasses empty. 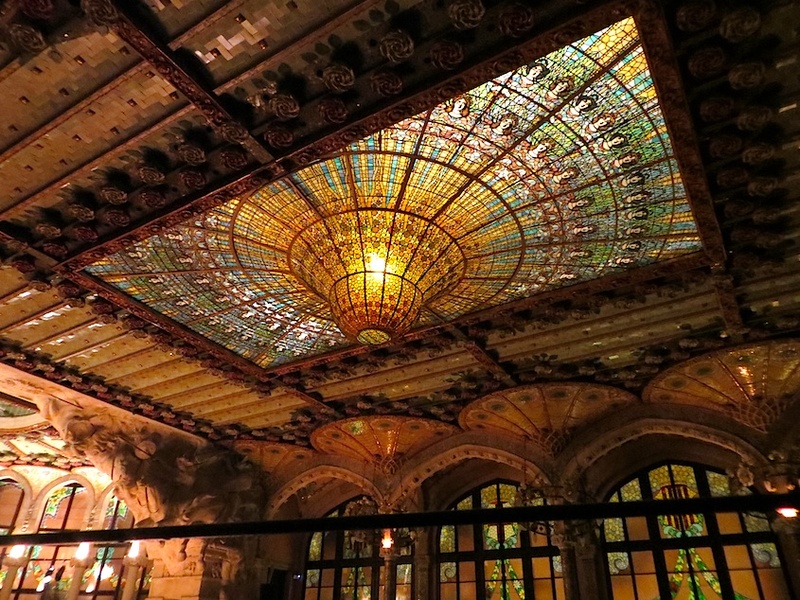 This entry was posted in Uncategorized and tagged @LaCerveseraBCN, Art Nouveau, barcelona, Gaudi, Guell, Park Guell, Paulau, Sagrada Familia, Spain. Bookmark the permalink. 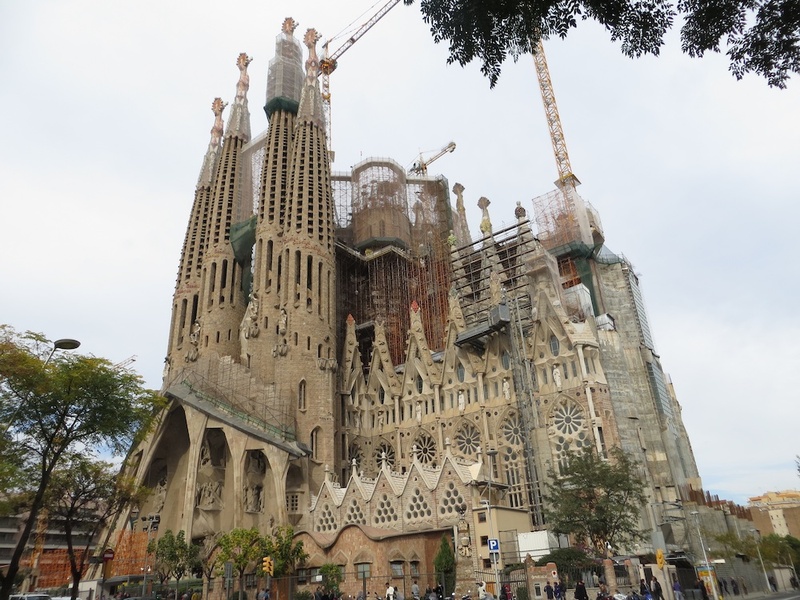 Gaudi! Art Nouveau & kraft beers!